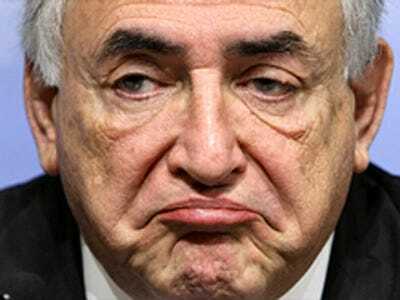 Ex-IMF head Dominique Strauss-Kahn’s new life in finance following his scandalous retreat from his bid for the French presidency isn’t working out so well. He left his role as chairman of Luxembourg-based Leyne Strauss-Kahn & Partners on October 20 for reasons that aren’t totally clear (officially “to dedicate himself to other activities”). Three days later, his business partner, Thierry Leyne, fell from a building to his death in an apparent suicide in Tel Aviv. Leyne owned just over 30% of the company, while Strauss-Kahn owns a little more than 20%. A Swiss hedge fund, Insch Capital Management, has accused LSK of taking money without permission from Insch’s bank account to buy shares in a Swiss insurance company called Firstcaution, which happened to be majority-owned by LSK. LSK, which had an agreement with Insch to buy and sell shares from the latter’s account, says that it did indeed have permission to make those trades. Insch, obviously, disagrees. According to data from Euronext, on most of the days when trades occurred in 2011, only 10 shares of the little-trafficked firm typically changed hands per day, while there were no trades at all in 2012 or the first two months of 2013. But volumes then spiked last year, with hundreds of thousands of shares changing hands on single days over the course of 2013, amounting to €6.6 million worth for the year. Part of this trading included a transaction worth more than $US400,000 from Insch’s account at VP Bank, a Luxembourg-based private bank, according to Insch’s letter. Another insurance group, Bâloise Luxembourg, has filed documents in court in Luxembourg accusing LSK of failing to return a €2 million ($US2.5 million) portfolio that had been invested by LSK’s fund-management division, Assya Asset Management. Regulators from Switzerland and Luxembourg are still looking into these allegations, it seems. The website for LSK partners appears to have been taken down, so we were unable to reach the company for comment.